Can I Buy A Home Before Selling My Current Home? You won’t have to qualify for two mortgages at the same time. You will have more cash to put down on the new home (assuming you have built some equity in your current home). Since you would know exactly how much you netted from the current home, it will be easier for you to settle on a price range for the new home. If you are in a seller’s market (where demand for home outstrips supply of homes available for sale), then you may not be able to find your new home quickly. You could be left with no home to live in and forced to move to a short-term rental creating uncertainty and inconvenience. In an appreciating market, home prices can move up pretty quickly and throw your budget out of balance. 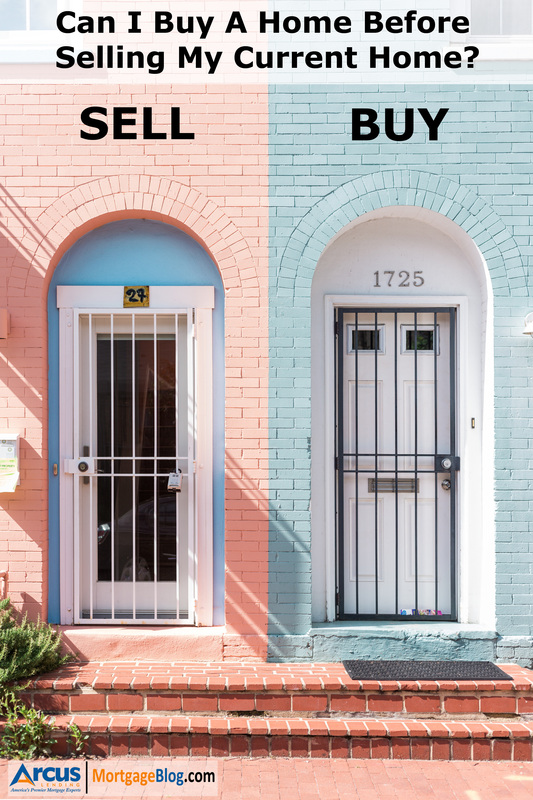 So, can you buy a home before selling your current home? If you are like most homeowners who would rather buy before selling, there is hope. If you plan to rent your current home after buying a new home, we can use 75% of the future rental income of your current home to offset your housing payment. You do need to have a minimum of 25% equity (Home Value minus Mortgage Balance). If you plan to sell your current home, be ready to list it immediately after your offer gets accepted for the new home. Then all we need is a non-contingent offer (ask your agent) or buyer contingencies waived before the closing of the new home. In either case, we will not count your current housing payment (mortgage, property tax, hazard insurance and HOA dues) towards your debt. Pretty cool – right? Since you haven’t yet sold your current home, you may not have 20% (or higher) down payment to put down on the new home especially if you are buying a home in an expensive area like San Francisco Bay Area. At Arcus Lending, we offer 10% down payment loan for purchase price up to $1.7 million (subject to you meeting the loan underwriting guidelines). That means you don’t need to have 20% down payment, even if you are buying a reasonably expensive home (Disclaimer – Loan Program not available in all the states). The loan is structured as an 80/10/10 loan with a 1st mortgage for 80% of the home value and a 2nd mortgage with 10% of the home value. There is no mortgage insurance required, but the 2nd loan is at a much higher rate, usually Prime Rate + 1.5%. But you can always pay that off early with little to no prepayment penalty. Well, now you know the answer to – “Can I buy that home before selling my current home?